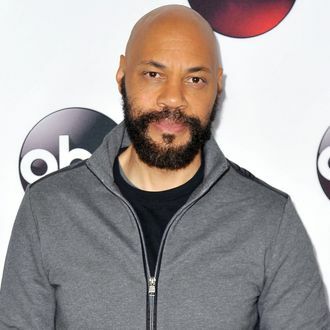 Earlier this month, Oscar winner John Ridley told Vulture that representation is a primary concern in his filmmaking. “The thing that I want to do more than anything else is represent: both in front of the camera and behind it. I owe every good thing I have to Hollywood, but there’s a lack of representation of traditionally disenfranchised people,” he said. That position was challenged at the recent premiere of Guerrilla — his mini-series for Showtime and Sky Atlantic about the rise of black revolutionaries in 1970s London — when the black writer-director was asked about being complicit in the erasure of black women from black history by casting an Indian woman, Freida Pinto, as one of the show’s stars. At first, Ridley joked with the questioner (later identified by the i Paper as a Black Lives Matter U.K. activist), suggesting that her question was evidence of Pinto’s importance to Guerrilla’s narrative. “If everybody understood racism, oppression … there would be no reason to be doing this show. We would be doing Dancing With the Stars,” Ridley responded, according to Screen Daily. He then launched into an impassioned defense of Pinto’s casting, offering up his own interracial relationship as evidence of the importance of including other races in stories of black revolution. “I’m sorry I cannot entertain a dialogue about whether the lead character in this show should be black or Asian – the lead character in this show should be a strong woman of color,” Ridley said, eliciting applause from the audience. “No, we know this because our parents were a part of it,” responded the second questioner. The debate surrounding Guerrilla — and the very question neither Ridley nor Pinto responded to — has little to do with Pinto’s talent or the show’s interracial relationship. The question of erasure and misogynoir and why Guerrilla’s first episode includes a negative depiction of black women remains unanswered. By making its most important black female character (in the first episode, at least) a spy for white racist interests, the audience members argued, the episode carries the implicit suggestion that not only were black women uninvolved with London’s black revolutionary movement, but that they actively worked against it. Ridley pointed to a handful of Asian activists who were part of the black revolutionary movement, while ignoring the larger and longer history of black women’s political organizing for racial justice.